The hall is attached to the Church opposite the Tesco petrol station on the main Henleaze Road- easy street parking. 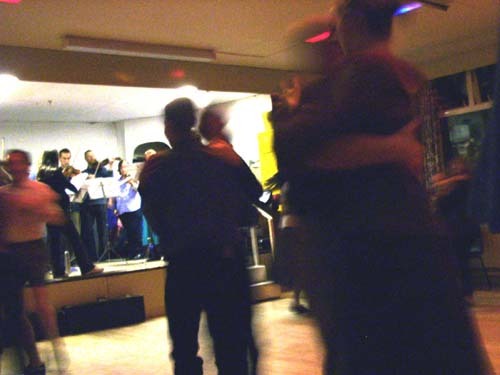 Each year we organise a Swedish dance evening in Bristol, England. The evening starts at 4.30pm and finishes at 8pm. We have the event early in the evening as we have found that people are prepared to travel some distance for an opportunity to practice their polskas and schottises, but not if that means getting home late on a dark Sunday evening. Most of the dances are couple dances (but you don't need to bring your own partner) and involve turning on the soles of your feet. You need to wear smooth-soled shoes - not your newest trainers! The dances include polskas, schottises, mazurkas, snoas and waltzes. We show you the various dances and give a bit of basic tuition - but we are enthusiasts, not experts and won't be running a detailed workshop. However, you should be able to join in most of the dances without too many problems. We take a break halfway through the evening - a chance to chat while sampling some Swedish crispbreads, cheeses and cakes. We provide squash to drink, tea and coffee and a kettle, and you can bring your own beer or wine if you like. 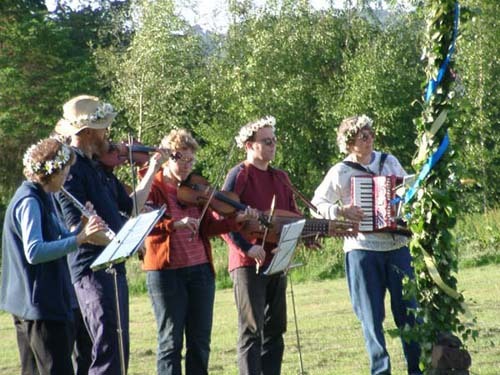 Bristol Spelmanslag is a group of about 10 musicians with a variety of musical backgrounds, brought together by our love of Swedish folk music. 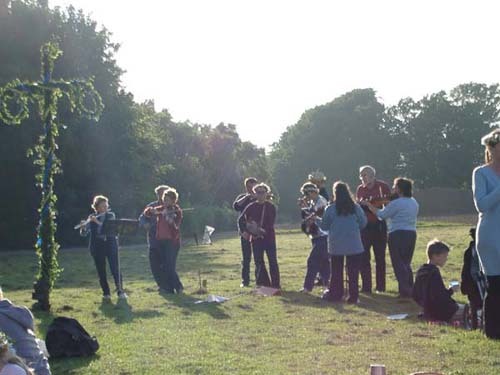 We play fiddles, flutes, nyckelharpa, clarinet and accordion. We meet to practice and to share new tunes every couple of months. We perform at the local Swedish community's midsummer parties, and have played at various private events and also in the café at IKEA ! We also love to play for dancing! If you are interested in joining us or booking us for your event, please get in touch. Details top of page. See video below.